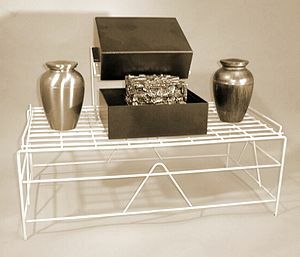 Hepburn Superior offers a various array of products for your funeral home displays. 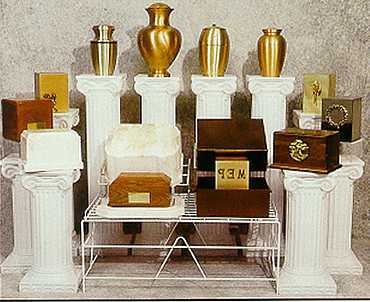 Our display units include cabinets, vault tables urn display columns and other types of practical display units. Metal wire coated with off white vinyl. 6' x 50". 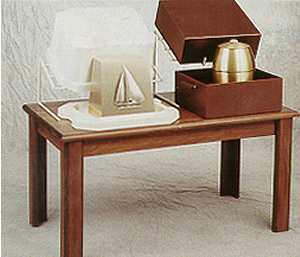 Display is made of high impact laminate with wood solids, each grooved and strengthened with a sturdy aluminum channel. 17 slats. Can accommodate 14 or more shelves (shelves sold separately). Each shelf is a custom designed acrylic 8" square. Very little floor space is used for a very impressive presentation. This large unit provides maximum display space in a very contemporary manner. Custom made acrylic sleeves are sold separately. Made from high quality Melamine with sturdy aluminum slats. 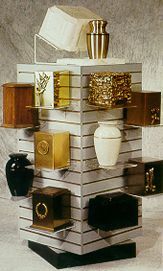 The slat wall display is the perfect tool for showcasing beautifully exquisite urns. 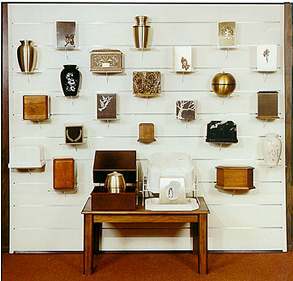 the slats are set 4" apart, allowing for the display to hold several urns depending unthaw height of the wall. 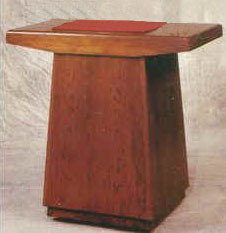 Four sides, stands 2' x 2' ; 52"high. Can hold up to 20 urns. 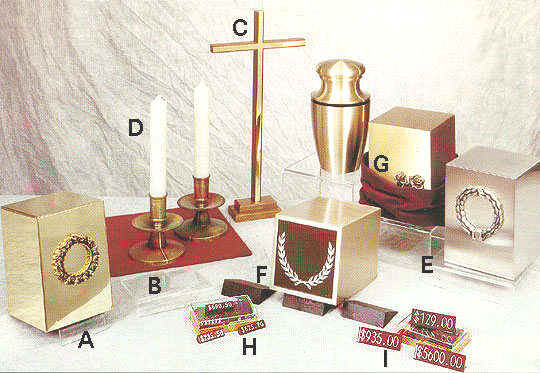 These attractive cabinets of CHERRY or OAK are perfect for displaying high quality urns in a professional manner. 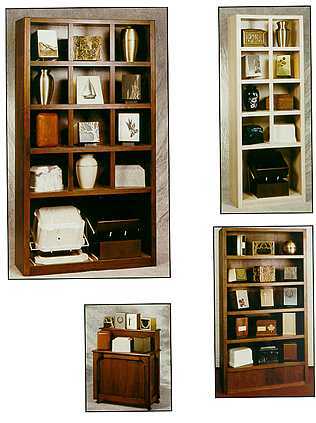 These display cabinets give you the ability to showcase a large number of urns while not dominating your display room. 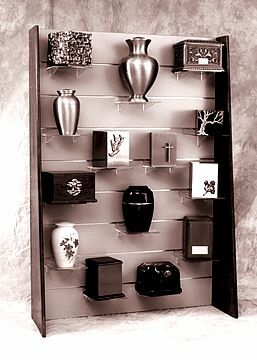 Cabinets can display 5 to 15 memorial urns in each of their own framed niches. 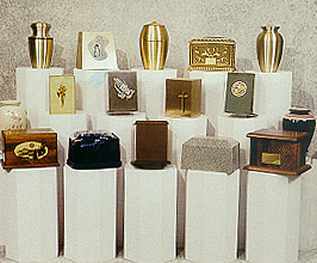 The bottom of the unit is used to display urn vaults. The unit stands at 76" tall and 15" deep. Width varies according to unit.